1. 2.4GHz wireless connection, up to 10m transmission range. 2. Ultra thin compact design, easy to carry out. 3. 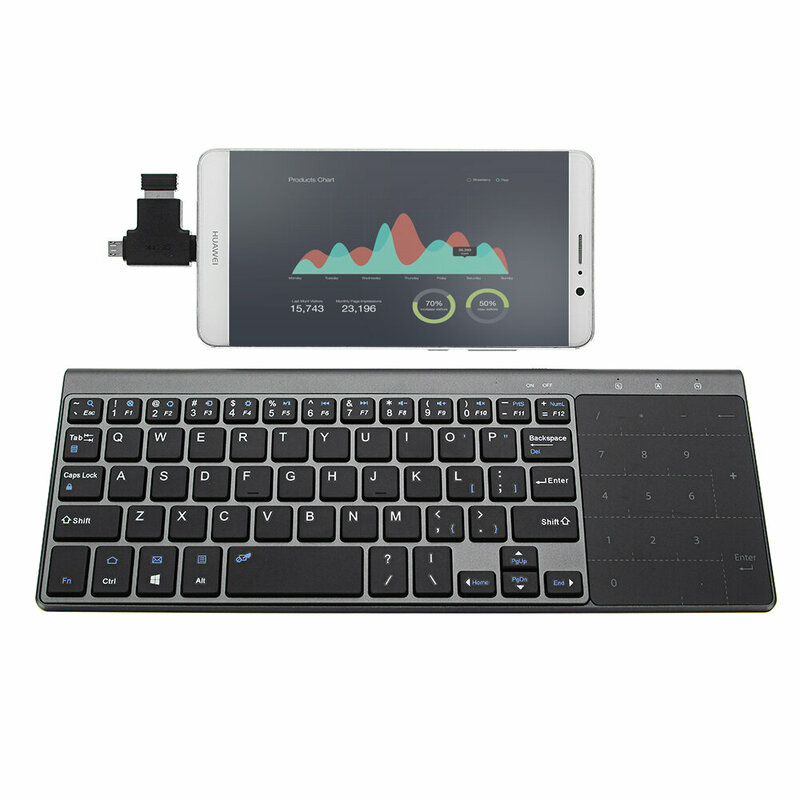 Equipped with high precision touch pad, supports finger gestures control, as single-click, double-click, wheel scroll button function. Mouse and keyboard dual function, more convenient for your use. And you could press "Fn" + "Num" key to turn your touch pad into number pad. 4. Intelligent sleep mode. The keyboard will go into sleep mode if left on and not being used, and prress any key to wake it up. 5. Note: It doesn't contain the OTG adapter, if you want to pair with phones/tablets, you need to buy the OTG adapter separately.